Pietrasanta is a town and comune on the coast of northern Tuscany in Italy, in the province of Lucca. 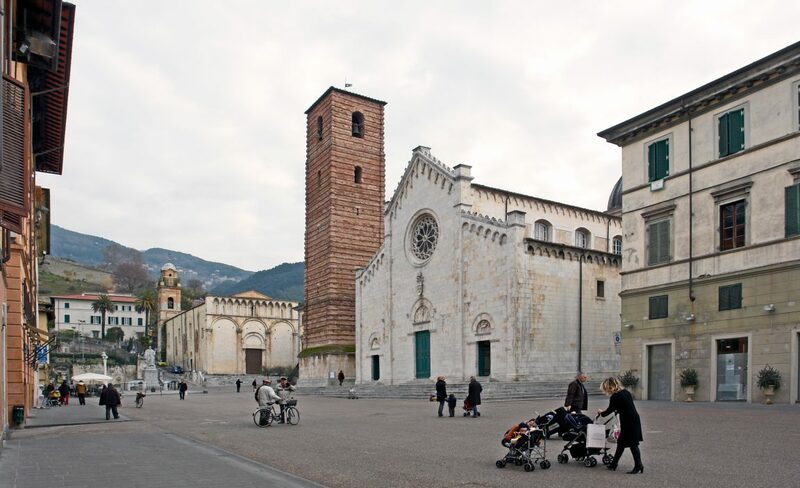 Pietrasanta is part of Versilia, on the last foothills of the Apuan Alps, about 32 km north of Pisa. The town is located 3 km off the coast (where the frazione of Marina di Pietrasanta is located). The Pietrasanta Marina, with golden sand and luxurious equipments is considered one of the best beaches of Italy.